You are here: Home » MS + Google » Google » What Android Fans Don’t Want You To Know? What Android Fans Don’t Want You To Know? A lot of Frandroids will happily give you a huge list of reasons on why Android devices are superior to iOS devices. They will site such things as Android’s use of: AMOLED screens, as well as larger ones to boot; its so-called open architect; its availability on more carriers, and Androids acceptance of the now dead mobile Flash architecture, etc., etc. What they won’t tell you, and in fact, what they’ll deny until their blue-in-the-face is its fragmentation issues and its now rapidly growing list of malware. Frandroids love pointing out Android’s explosive growth, now boasting some 550,000 new activations daily, but just don’t expect them to tell you that malware on Android is probably the one thing that is growing even faster then those activations! 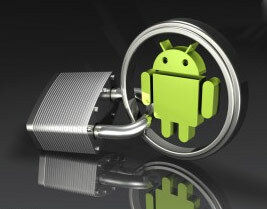 This, of course, also means that there is now a massive need for Android anti-virus protection. So, is the Android dream of an open-and-free platform really becoming a nightmare? Well, it may not be as bad as it could be, but it certainly it’s starting to look more and more like it is becoming just that, a malware nightmare indeed. Even though Google is still overall a great company, and one with great people and great products and great services, Frandroids are nonetheless just dreaming when they ignore the malware nightmare that their so-called open platform now leaves them suddenly vulnerable to. As for me, I don’t care how big or how bright their screens are, or how many daily activations Android gets, all I want at the end of the day is a platform that is original and free from all of the hassles that fragmentation and malware presents, and now that ships in droves with all of those ‘Droids’ out there, or put in other words: just give me a damn iPhone already? This entry was posted on Tuesday, November 22nd, 2011 at 5:20 pm	and is filed under Google. You can follow any responses to this entry through the RSS 2.0 feed.